Internet Explorer (formerly Microsoft Internet Explorer and Windows Internet Explorer, commonly abbreviated IE or MSIE) is a series of graphical web browsers developed by Microsoft and included as part of the Microsoft Windows line of operating systems, starting in 1995. The first version of Internet Explorer, (at that time named Microsoft Internet Explorer, later referred to as Internet Explorer 1) made its debut on August 17, 1995. It was a reworked version of Spyglass Mosaic, which Microsoft licensed from Spyglass Inc., like many other companies initiating browser development. It was first released as part of the add-on package Plus! for Windows 95 that year. Later versions were available as free downloads, or in service packs, and included in the OEM service releases of Windows 95 and later versions of Windows. Originally Microsoft Internet Explorer only ran on Windows using Intel 80386 (IA-32) processor. Current versions also run on x64, 32-bit ARMv7, PowerPC and IA-64. Versions on Windows have supported MIPS, Alpha AXP and 16-bit and 32-bit x86 but currently support only 32-bit or 64-bit. A version exists for Xbox 360 called Internet Explorer for Xbox using PowerPC and an embedded OEM version called Pocket Internet Explorer, later rebranded Internet Explorer Mobile, which is currently based on Internet Explorer 9 and made for Windows Phone using ARMv7, Windows CE, and previously, based on Internet Explorer 7 for Windows Mobile. It remains in development alongside the desktop versions. Internet Explorer has supported other operating systems with Internet Explorer for Mac (using Motorola 68020+, PowerPC) and Internet Explorer for UNIX (Solaris using SPARC and HP-UX using PA-RISC), which have been discontinued. Since its first release, Microsoft has added features and technologies such as basic table display (in version 1.5); XMLHttpRequest (in version 5), which adds creation of dynamic web pages; and Internationalized Domain Names (in version 7), which allow Web sites to have native-language addresses with non-Latin characters. The browser has also received scrutiny throughout its development for use of third-party technology (such as the source code of Spyglass Mosaic, used without royalty in early versions) and security and privacy vulnerabilities, and both the United States and the European Union have alleged that integration of Internet Explorer with Windows has been to the detriment of other browsers. The latest stable release has an interface allowing for use as both a desktop application, and as a Windows 8 application. The release of IE7 at the end of 2006 resulted in a collapse of IE6 market share; by February 2007, market version share statistics showed IE6 at about 50% and IE7 at 29%. Regardless of the actual market share, the most compatible version (across operating systems) of IE was 5.x, which had Mac OS 9 and Mac OS X, Unix, and most Windows versions available and supported for a short period in the late 1990s (although 4.x had a more unified codebase across versions). By 2007, IE had much narrower OS support, with the latest versions supporting only Windows XP Service Pack 2 and above. Internet Explorer 5.0, 5.5, 6.0, and 7.0 (Experimental) have also been unofficially ported to the Linux operating system from the project IEs4Linux. 7.1–8.1 (68k) 4.0.1 (included) 1995-? Microsoft Internet Explorer 1.0 made its debut on August 16, 1995. It was a reworked version of Spyglass Mosaic which Microsoft had licensed, like many other companies initiating browser development, from Spyglass Inc. It came with the purchase of Microsoft Plus! for Windows 95 and with at least some OEM releases of Windows 95 without Plus!. It was installed as part of the Internet Jumpstart Kit in Plus! for Windows 95. The Internet Explorer team began with about six people in early development. 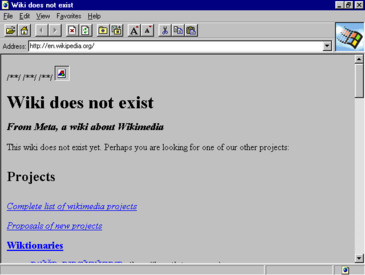 Microsoft Internet Explorer 1.5 was released several months later for Windows NT and added support for basic HTML table rendering. By including it free of charge on their operating system, they did not have to pay royalties to Spyglass Inc, resulting in a lawsuit and a US$8 million settlement on January 22, 1997. Although not included, this software can also be installed on the original release of Windows 95. Microsoft Internet Explorer (that is version 1.x) is no longer supported, or available for download from Microsoft. However, archived versions of the software can be found on various websites. Microsoft Internet Explorer came with an install routine replacing a manual installation required by many of the existing web browsers. Microsoft Internet Explorer 3 was released on August 13, 1996 and went on to be much more popular than its predecessors. Microsoft Internet Explorer 3 was the first major browser with CSS support, although this support was only partial. It also introduced support for ActiveX controls, Java applets, inline multimedia, and the PICS system for content metadata. Version 3 also came bundled with Internet Mail and News, NetMeeting, and an early version of the Windows Address Book, and was itself included with Windows 95 OSR 2. Version 3 proved to be the first more popular version of Internet Explorer, bringing with it increased scrutiny. In the months following its release, a number of security and privacy vulnerabilities were found by researchers and hackers. This version of Internet Explorer was the first to have the 'blue e' logo. The Internet Explorer team consisted of roughly 100 people during the development of three months. The first major IE security hole, the Princeton Word Macro Virus Loophole, was discovered on August 22, 1996 in IE3. Backwards compatibility was handled by allowing users who upgraded to IE3 to still use the previous version, because the installation renamed the old version (incorporating the old version number) and stored it in the same directory. Microsoft Internet Explorer 4, released in September 1997, deepened the level of integration between the web browser and the underlying operating system. Installing version 4 on Windows 95 or Windows NT 4.0 and choosing Windows Desktop Update would result in the traditional Windows Explorer being replaced by a version more akin to a web browser interface, as well as the Windows desktop itself being web-enabled via Active Desktop. The integration with Windows, however, was subject to numerous packaging criticisms (see United States v. Microsoft). This option was no longer available with the installers for later versions of Internet Explorer, but was not removed from the system if already installed. Microsoft Internet Explorer 4 introduced support for Group Policy, allowing companies to configure and lock down many aspects of the browser's configuration as well as support for offline browsing. Internet Mail and News was replaced with Outlook Express, and Microsoft Chat and an improved NetMeeting were also included. This version was also included with Windows 98. New features that allowed users to save and retrieve posts in comment forms were added, but they are not used today. Microsoft Internet Explorer 4.5 offered new features such as easier 128-bit encryption. It also offered a dramatic stability improvement over prior versions, particularly the 68k version, which was especially prone to freezing. Microsoft Internet Explorer 5, launched on March 18, 1999, and subsequently included with Windows 98 Second Edition and bundled with Office 2000, was another significant release that supported bi-directional text, ruby characters, XML, XSLT, and the ability to save web pages in MHTML format. IE5 was bundled with Outlook Express 5. Also, with the release of Microsoft Internet Explorer 5.0, Microsoft released the first version of XMLHttpRequest, giving birth to Ajax (even though the term "Ajax" was not coined until years later). It was the last with a 16-bit version. Microsoft Internet Explorer 5.01, a bug fix version included in Windows 2000, was released in December 1999. Microsoft Internet Explorer 5.5 followed in July 2000, improving its print preview capabilities, CSS and HTML standards support, and developer APIs; this version was bundled with Windows ME. However, version 5 was the last version for Mac and UNIX. Version 5.5 was the last to have Compatibility Mode, which allowed Microsoft Internet Explorer 4 to be run side by side with the 5.x series. The IE team consisted of over 1,000 people by 1999, with funding on the order of US$100 million per year. Microsoft Internet Explorer 6 was released on August 27, 2001, a few months before Windows XP. This version included DHTML enhancements, content restricted inline frames, and partial support of CSS level 1, DOM level 1, and SMIL 2.0. The MSXML engine was also updated to version 3.0. Other new features included a new version of the Internet Explorer Administration Kit (IEAK), Media bar, Windows Messenger integration, fault collection, automatic image resizing, P3P, and a new look-and-feel that was in line with the Luna visual style of Windows XP, when used in Windows XP. Internet Explorer 6.0 SP1 offered several security enhancements and coincided with the Windows XP SP1 patch release. In 2002, the Gopher protocol was disabled, and support for it was dropped in Internet Explorer 7. Internet Explorer 6.0 SV1 came out on August 6, 2004 for Windows XP SP2 and offered various security enhancements and new colour buttons on the user interface. Internet Explorer 6 updated the original 'blue e' logo to a lighter blue and more 3D look. Microsoft now considers IE6 to be an obsolete product and recommends that users upgrade to Internet Explorer 8. Some corporate IT users have not upgraded despite this, in part because some still use Windows 2000, which will not run Internet Explorer 7 or above. Microsoft has launched a website, http://ie6countdown.com/, with the goal of getting Internet Explorer 6 usage to drop below 1 percent worldwide. Its usage is 6% globally as of October 2012, and now about 6.3% since June 2013, and depending on the country, the usage differs heavily: while the usage in Norway is 0.1%, it is 21.3% in the People's Republic of China. On January 3, 2012, Microsoft announced that usage of IE6 in the United States had dropped below 1%. Windows Internet Explorer 7 was released on October 18, 2006. It includes bug fixes, enhancements to its support for web standards, tabbed browsing with tab preview and management, a multiple-engine search box, a web feeds reader, Internationalized Domain Name support (IDN), Extended Validation Certificate support, and an anti-phishing filter. With IE7, Internet Explorer has been decoupled from the Windows Shell—unlike previous versions, the Internet Explorer ActiveX control is not hosted in the Windows Explorer process, but rather runs in a separate Internet Explorer process. It is included with Windows Vista and Windows Server 2008, and is available for Windows XP Service Pack 2 and later, and Windows Server 2003 Service Pack 1 and later. The original release of Internet Explorer 7 required the computer to pass a Windows Genuine Advantage validation check prior to installing, but on October 5, 2007, Microsoft removed this requirement. As some statistics show, by mid-2008, Internet Explorer 7 market share exceeded that of Internet Explorer 6 in a number of regions. Windows Internet Explorer 8 was released on March 19, 2009. It is the first version of IE to pass the Acid2 test, and the last of the major browsers to do so (in the later Acid3 Test, it only scores 24/100.). According to Microsoft, security, ease of use, and improvements in RSS, CSS, and Ajax support were its priorities for IE8. Internet Explorer 8 is the last version of Internet Explorer to run on Windows Server 2003 and Windows XP; the following version, Internet Explorer 9, works only on Windows Vista and later. Support for Internet Explorer 8 is bound to the lifecycle of the Windows version it is installed on as it is considered an OS component, thus it is unsupported on Windows XP due to the end of extended support for the latter in April 2014. Effective January 12, 2016, Internet Explorer 8 is no longer supported on any client or server version of Windows, due to new policies specifying that only the newest version of IE available for a supported version of Windows will be supported. However several Windows Embedded versions will remain supported until their respective EOL, unless otherwise specified. Internet Explorer was to be omitted from Windows 7 and Windows Server 2008 R2 in Europe, but Microsoft ultimately included it, with a browser option screen allowing users to select any of several web browsers (including Internet Explorer). Internet Explorer is now available on Xbox 360 with Kinect support, as of October 2012. Windows Internet Explorer 10 became generally available on October 26, 2012, alongside Windows 8 and Windows Server 2012, but is by now supported on Windows Server 2012, while Windows Server 2012 R2 only supports Internet Explorer 11. It became available for Windows 7 on February 26, 2013. Microsoft announced Internet Explorer 10 in April 2011, at MIX 11 in Las Vegas, releasing the first Platform Preview at the same time. At the show, it was said that Internet Explorer 10 was about three weeks in development. This release further improves upon standards support, including HTML5 Drag & Drop and CSS3 gradients. Internet Explorer 10 drops support for Windows Vista and will only run on Windows 7 Service Pack 1 and later. Internet Explorer 10 Release Preview was also released on the Windows 8 Release Preview platform. Internet Explorer 11 is featured in a Windows 8.1 update which was released on October 17, 2013. It includes an incomplete mechanism for syncing tabs. It features a major update to its developer tools, enhanced scaling for high DPI screens, HTML5 prerender and prefetch, hardware-accelerated JPEG decoding, closed captioning, HTML5 full screen, and is the first Internet Explorer to support WebGL and Google's protocol SPDY (starting at v3). This version of IE has features dedicated to Windows 8.1, including cryptography (WebCrypto), adaptive bitrate streaming (Media Source Extensions) and Encrypted Media Extensions. Internet Explorer 11 was made available for Windows 7 users to download on November 7, 2013, with Automatic Updates in the following weeks. Internet Explorer 11's user agent string now identifies the agent as "Trident" (the underlying layout engine) instead of "MSIE". It also announces compatibility with Gecko (the layout engine of Firefox). Service packs are not included unless significant. 2.0 Beta October 1995 Support of HTML tables and other elements. 2.01 Unknown Bug fix release. 3.0 Alpha 1 March 1996 Improved support of HTML tables, frames, and other elements. 3.0 Alpha 2 May 1996 Support of VBScript and JScript. 3.0 Beta 2 July 1996 Support of CSS and Java. 3.01 October 1996 Bug fix release. 3.02 March 1997 Bug fix release. 3.03 April 1997 Bug fix release. 4.0 Beta 1 April 1997 Improved support of CSS and Microsoft DOM. 4.0 Beta 2 July 1997 Improved support of HTML and CSS. 5.0 Beta 1 June 1998 Support of more CSS2 features. 5.0 Beta 2 November 1998 Support of bi-directional text, ruby character, XML/XSL and more CSS properties. 5.5 Beta 1 December 1999 Support of more CSS properties. Minor changes to support of frames. 7.0 Beta 2 Preview January 31, 2006 More CSS fixes. Web feeds platform integration. New GUI. Quick Tabs. 7.0 Beta 2 April 24, 2006 Feature complete. More CSS fixes. Application compatibility fixes. 7.0 Beta 3 June 29, 2006 Fixes rendering issues for CSS. 7.0 RC 1 August 24, 2006 Improvements in performance, stability, security, application compatibility and final CSS adjustments. 8.0 Beta 1 March 5, 2008 CSS 2.1, Contextual Services. Accelerators. Web Slices. Tab isolation and DEP protection enabled by default. Automatic crash recovery. Improved phishing and malware filter (SmartScreen). Uses 6 HTTP server connections for improved website responsiveness. 8.0 RC1 January 26, 2009 CSS bug fixes. Minor changes in favorites management and search bar. v1.9.7916.6000 August 4, 2010 CSS bug fixes. Support for ECMAScript5 (ES5). JScript engine integrated into the core browser components (architectural change). Performance improvements. v1.9.8006.6000 October 28, 2010 CSS3 2D transforms and HTML5 semantic tags. 1.9.8080.16413 February 10, 2011 Performance improvements, Tracking Protection, ActiveX Filtering, paste and navigate, enhancements to user interface, and support for the W3C Geolocation API. 9.0[Note 3] March 14, 2011 Improved performance, improved Tracking Protection, and the option to pin multiple targets per page. Last version supported on Windows Vista and Windows Server 2008.
v2.10.1000.16394 April 12, 2011 Support for CSS3 multi-column layout, CSS3 grid layout, CSS3 flexible box layout, CSS3 gradients, and ES5 strict mode. v2.10.1008.16421 June 29, 2011 Support for Positioned Floats, CSS stylesheet limit lifted, CSSOM Floating Point Value support, Improved hit testing APIs, Media Query Listeners, HTML5: Support for async attribute on script elements, HTML5 Drag and Drop, HTML5 File API, HTML5 Sandbox, HTML5 Web Workers, and some Web Performance APIs. 11.0.9431.0 September 18, 2013 Windows 7 only. ^ a b "History and Growth of the Internet". Retrieved March 3, 2007. ^ "Market share for browsers, operating systems and search engines". Retrieved March 3, 2007. ^ a b c Elstrom, Peter (January 22, 1997). "MICROSOFT'S $8 MILLION GOODBYE TO SPYGLASS". Bloomberg Businessweek. Archived from the original on June 29, 1997. Retrieved February 9, 2011. ^ a b c Thurrott, Paul (January 22, 1997). "Microsoft and Spyglass kiss and make up". WindowsITPro. Retrieved February 9, 2011. ^ "Windows 95, original release, without Internet Explorer?". betaarchive.com. Retrieved February 7, 2015. ^ a b c d Hardmeier, Sandi (August 25, 2005). "The History of Internet Explorer". Microsoft. Retrieved February 9, 2011. ^ Borland, John (April 15, 2003). "Software empire pays high price". CNET News. CNET Networks. Retrieved February 9, 2011. ^ a b Sink, Eric (April 15, 2003). "Memoirs From the Browser Wars". Eric Weblog. Ericsink.com. Retrieved November 2, 2013. ^ "Windows History". Microsoft. June 30, 2003. Archived from the original on October 2, 2003. Retrieved February 10, 2011. ^ a b c "Microsoft Internet Explorer Web Browser Available on All Major Platforms, Offers Broadest International Support". Microsoft.com. Archived from the original on January 15, 2008. Retrieved October 17, 2008. ^ "Search Engine Market Share". marketshare.hitslink.com. November 2007. Retrieved September 26, 2010. ^ a b "Victor: Software empire pays high price | CNET News.com". News.com. Retrieved October 17, 2008. ^ "By having IE3 rename your previous version, Microsoft gives you a fallback in case IE3 crashes. IE3 also scans for Netscape bookmarks and converts them to IE3 favorites." Jonathan Chau (November 1, 1996). "Internet Explorer 3.0". Retrieved September 26, 2010. ^ "Browser Version Market Share". marketshare.hitslink.com. October 2008. Retrieved September 26, 2010. ^ "Supporting Offline Browsing in Applications and Components". Microsoft. ^ "WinPlanet IE4 Review". cws.internet.com. ^ "PC Pro IE4 Review". pcpro.co.uk. Archived from the original on March 21, 2005. ^ Stroud, Forrest. "MacUser IE 4 Review". macuser.co.uk. Archived from the original on February 9, 2005. ^ "MS Article ID 237787". support.microsoft.com. ^ "SMIL Standards and Microsoft Internet Explorer 6, 7, and 8". Archived from the original on June 3, 2007. Retrieved May 27, 2007. ^ "Using a web browser to access gopher space". Retrieved May 11, 2007. ^ "XPSP2 and its slightly updated user agent string". IEBlog. MSDN. September 2, 2004. Retrieved September 26, 2010. SV1 stands for "Security Version 1", referring to the set of security enhancements made for that release . This version of Internet Explorer is more popularly known as IE6 SP2, given that it is included with Windows XP Service Pack 2, but this can lead to confusion when discussing Windows Server 2003, which includes the same functionality in the SP1 update to that operating system. ^ "Corporate IT just won't let IE6 die". Retrieved June 6, 2010. ^ "The Internet Explorer 6 Countdown". Microsoft. Retrieved December 6, 2011. ^ Thurott, Paul (January 3, 2012). "Microsoft: IE 6 Usage Drops Below 1 Percent in US". Paul Thurott's Supersite for Windows. p. 1. Retrieved January 3, 2012. ^ Muchmore, Michael (January 4, 2012). "IE6 Usage Drops Below 1 Percent in U.S." PC Magazine. Retrieved January 4, 2012. ^ "Browser statistics". W3Schools. Retrieved August 4, 2008. ^ "Browser statistics". Statcounter. Retrieved January 22, 2012. ^ LaMonica, Martin (May 3, 2007). "Microsoft Hints at General Plan for IE 8". CNET. CBS Interactive. ^ Reimer, Jeremy (May 2, 2007). "Microsoft Drops Hints about Internet Explorer 8". Ars Technica. Condé Nast. ^ Hall, Kevin (March 17, 2010). "Internet Explorer 9 Adds HTML5, Drops Windows XP". Dvice.com. NBCUniversal Media. ^ Foley, Mary Jo (March 16, 2010). "Microsoft IE9 Developer Preview with HTML5 Support Ready for Download". ZDNet. CBS Interactive. ^ Keizer, Gregg. "US-CERT urges XP users to dump IE". Computerworld. IDG. Retrieved April 6, 2014. ^ "Internet Explorer Support Announcement". Microsoft Support Lifecycle. Microsoft. August 7, 2015. Retrieved August 18, 2015. ^ "Internet Explorer Support Lifecycle Policy FAQ". Microsoft Lifecycle Support Website. Retrieved April 10, 2016. ^ a b "Microsoft Announces Global Availability of Internet Explorer 9" (Press release). Microsoft. March 14, 2011. Retrieved May 28, 2011. ^ Oiaga, Marcus (December 20, 2007). "Forget about IE8 – Onward to Internet Explorer 9 in Windows 7". Softpedia. SoftNews NET SRL. Retrieved May 28, 2011. ^ "Internet Explorer 9 system requirements". Microsoft. Retrieved July 9, 2011. ^ "HTML5, Hardware Accelerated: First IE9 Platform Preview Available for Developers". IEBlog. Microsoft. March 16, 2010. Retrieved May 28, 2011. ^ "Benefits of GPU-powered HTML5". IEBlog. Microsoft. April 9, 2010. Retrieved May 28, 2011. ^ "Meet WOFF, The Standard Web Font Format". IEBlog. Microsoft. April 23, 2010. Retrieved May 28, 2011. ^ "The Web Standards Project's Acid3 Test". Microsoft. Retrieved May 28, 2011. ^ "Microsoft and EU settle dispute". Irish Times. December 16, 2009. ^ "After years of fighting, Microsoft and EU settle antitrust case without rancor". The Seattle Times. December 16, 2009. ^ "Brussels accepts Microsoft's browser offer". Financial Times. United Kingdom. ^ "In E.U. Deal, Microsoft Allows Rival Browsers". Time. December 17, 2009. Retrieved May 5, 2010. ^ Kerr, Dara (May 10, 2012). "Xbox 360 Kinect said to add Internet Explorer browsing: Rumor has it users may soon be able to surf the Web on Microsoft's gaming console and do so with voice and gesture commands". CNET. CBS Interactive. Retrieved May 20, 2012. ^ Rosenblatt, Seth (February 26, 2013). "IE reborn: Internet Explorer 10 arrives on Windows 7". CNET. CBS Interactive. Retrieved March 1, 2013. ^ "Native HTML5: First IE10 Platform Preview Available for Download". IEBlog. Microsoft. April 12, 2011. Retrieved May 28, 2011. ^ Keizer, Gregg (April 13, 2011). "Windows Vista: No IE10 for you". Computerworld. Computerworld Inc. Retrieved April 21, 2011. When Vista users try to install the IE10 preview, they see a dialog box that reads, "Windows Internet Explorer Platform Preview does not support any operating system earlier than Windows 7," after which the installation process terminates. ^ a b Thurrott, Paul (July 25, 2013). "Internet Explorer 11 Developer Preview for Windows 7". Paul Thurrott's SuperSite for Windows. Penton. Retrieved July 26, 2013. ^ "What's new in F12 Tools (Preliminary)". MSDN. Microsoft. June 26, 2013. Retrieved July 13, 2013. ^ "High DPI support (Preliminary)". MSDN. Microsoft. July 25, 2013. Retrieved July 26, 2013. ^ "Prerender and prefetch support (Preliminary)". MSDN. Microsoft. July 25, 2013. Retrieved July 26, 2013. ^ Bradley, Tony (July 26, 2013). "Why Internet Explorer 11 is the right browser for business". PC World. IDG. Retrieved July 27, 2013. ^ a b Brinkmann, Martin (July 25, 2013). "The Internet Explorer 11 Preview for Windows 7 is now available". Ghacks.net. ghacks Technology News. Retrieved July 27, 2013. ^ "Latest Windows 8.1 build beefs up IE developer tools". CNET. CBS Interactive. Retrieved May 29, 2013. ^ "Microsoft teases Internet Explorer 11 WebGL support on Vine". The Verge. Retrieved May 29, 2013. ^ "WebGL (Preliminary)". MSDN. Microsoft. July 25, 2013. Retrieved July 26, 2013. ^ Lardinois, Frederic (June 26, 2013). "Microsoft Confirms IE11 Will Support Google's SPDY Protocol". TechCrunch. Aol. Retrieved September 10, 2013. ^ Williams, Mike (July 26, 2013). "Internet Explorer 11 Developer Preview now available for Windows 7". BetaNews. BetaNews, Inc. Retrieved July 27, 2013. ^ "IE11 for Windows 7 Globally Available for Consumers and Businesses". Retrieved November 8, 2013. "Microsoft Windows Family Home Page". Windows History: Internet Explorer History. Archived from the original on October 2, 2003. Retrieved May 12, 2005. "Index DOT Html and Index DOT Css". Browser History: Windows Internet Explorer. Retrieved May 12, 2005. "Microsoft Knowledge Base". How to determine which version of Internet Explorer is installed. Retrieved November 6, 2005.